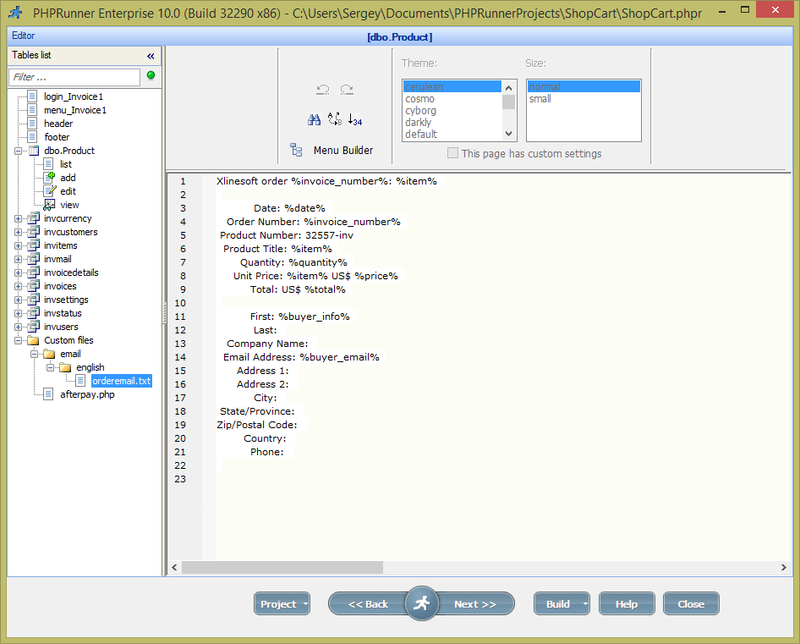 « PHPRunner 10.1 and ASPRunner.NET 10.1 are here! Sample code is PHP only. We will add C# code soon too. Make sure you specified correct SMTP settings in PHPRunner/ASPRunner.NET. We will need this to send email receipts. Build application, logon as admin/admin and change admin password. Go to Settings in web application and provide Paypal and Stripe settings in order to use both payment methods. Now there is something interesting. Proceed to Editor, create folder 'email' under 'Custom files', create subfolder 'english' there (of whatever language you use in your project). 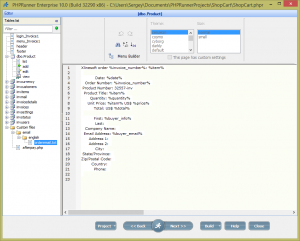 Create file named orderemail.txt there. Here is the sample email text you can use. Note the use of %field_name% placeholders. Many applications require to generate a custom invoice/transaction instead of plain numbers like 1,2,3 etc. 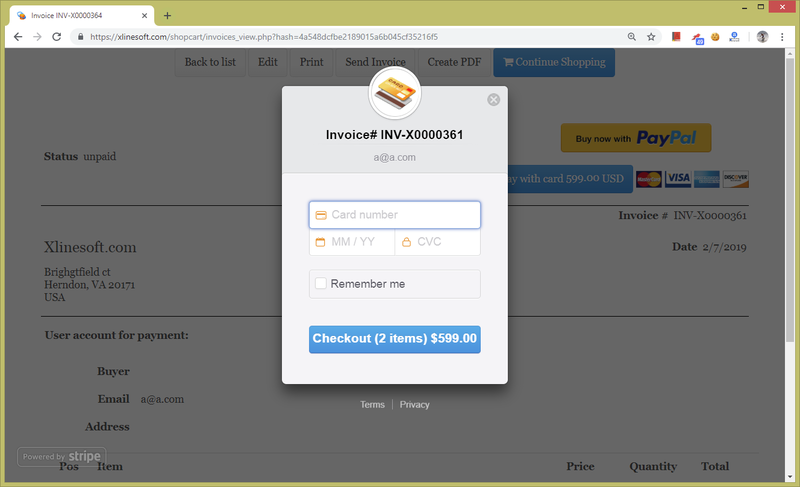 You may notice that in our checkout solution Invoice numbers look like INV-X0000365. Here is how it works. There is an extra table named invnumber that holds the latest order number. We get that number, increment it by one, format it the way we need it and update invoice_number table. Pretty straightforward. This code can be found under Invoices->Add page->Process record values event. This is a part of the template and can be edited under Custom Files. Function named runAfterPay will be executed after a successful payment. Here we update invoice as paid, set invoice payment date and also send the email receipt. $email - email address to send email to. "orderemail" - name of email template. Remember orderemail.txt file created on step 4? $data - array with data to replace placeholders in email template with the actual values. Now we need to integrate it into our existing website. We provide REST API for this purpose. There are two files that come with Invoice template, apitest.php and apitest.cs that provide sample API usage code. You will need to change $url variable - URL of Invoice add page on your website. Also you need to specify "your Authenticate key". This can be any unique text string that you can specify in Invoice project under Settings->API Authorization key. //This API allows to create an invoice sending buyer and seller data and also a list of items, prices, taxes etc. //If invoice is created successfully it returns URL of the View page of this invoice. Thanks for posting this. This is a most useful application!